Washington, Oct 31 : The US State Department has issued a travel warning to Niger and urged all American citizens not to travel to the African country or surrounding areas due to "terrorist activity, kidnappings and high rate of crime", the media reported. "Terrorist organisations, armed groups, and smugglers operate in the areas bordering Mali, Libya, and throughout northern Niger," the travel warning was issued on Monday said. 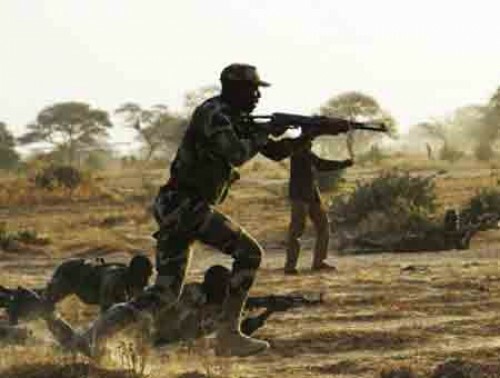 "Mali-based extremist groups have crossed the border and carried out multiple lethal attacks on Nigerien security forces (FDS) and on US forces assisting the FDS." The travel warning cited Al Qaeda in the Islamic Maghreb (AQIM), Islamic State (IS) affiliates in the Sahara, Libya, and West Africa, and Boko Haram, reports The Hill magazine. The announcement from the State Department comes weeks after four US Green Berets were killed in Niger when militants ambushed them. "There is a high threat of kidnapping by various terrorist groups, who have kidnapped Westerners, including a US citizen, and threatened .S citizens in Niger," the State Department added. "As a result of safety and security concerns, some organisations, including foreign companies, NGOs, and private aid organisations have suspended operations in Niger or withdrawn family members and/or staff." The warning also comes the same day the State Department promised up to $60 million to aid the Group of Five Sahel States (G5 Sahel) Joint Force, which includes Niger, Mali, Mauritania, Chad and Burkina Faso, in security efforts, reports The Hill magazine. "Defeating terrorism depends on making sure terrorist organisations cannot have safe havens on any continent," Secretary of State Rex Tillerson said on Monday. "This money will bolster our regional partners in their fight to ensure security and stability in the face of IS and affiliated groups and other terrorist networks. This is a fight we must win, and these funds will play a key role in achieving that mission," he added. Various extremist groups operate throughout both the Sahel and West Africa, including multiple IS and Al Qaeda affiliates.